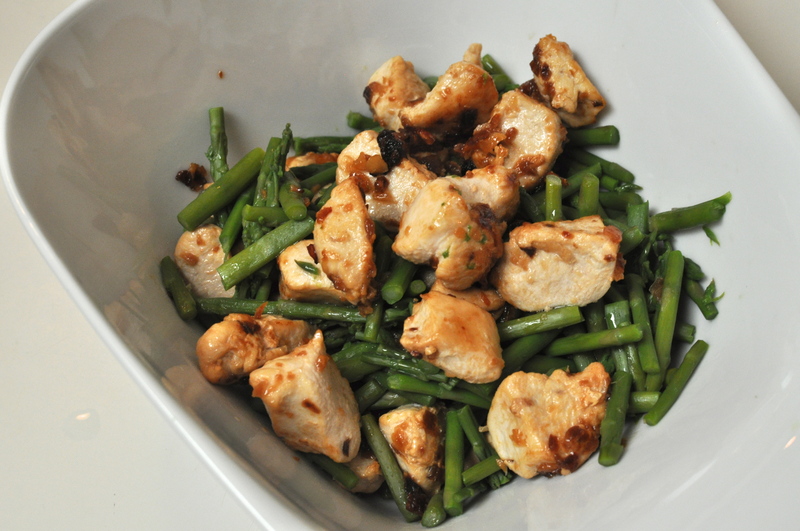 This delicious dish came from Living Lean by Mike Dolce, the hubs got a while back. We were paging through it, trying to find new meal options to make a monotonous week feel more alive in the meal department. Luck would have it that the hubs stumbled across this one, and we fell in love with this delicious dish. It’s pretty simple, easy to make after work, and I think if Jack was older, he would like it, too. We’ve paired it with quinoa here, but we’ve also made it with rice and potatoes, too. All great pairings for this delicious dish or simply on it’s own if you’re carb leery. As always, enjoy! Start by breaking off the thick ends of the asparagus; wash what remains and cut into bite-sized pieces. 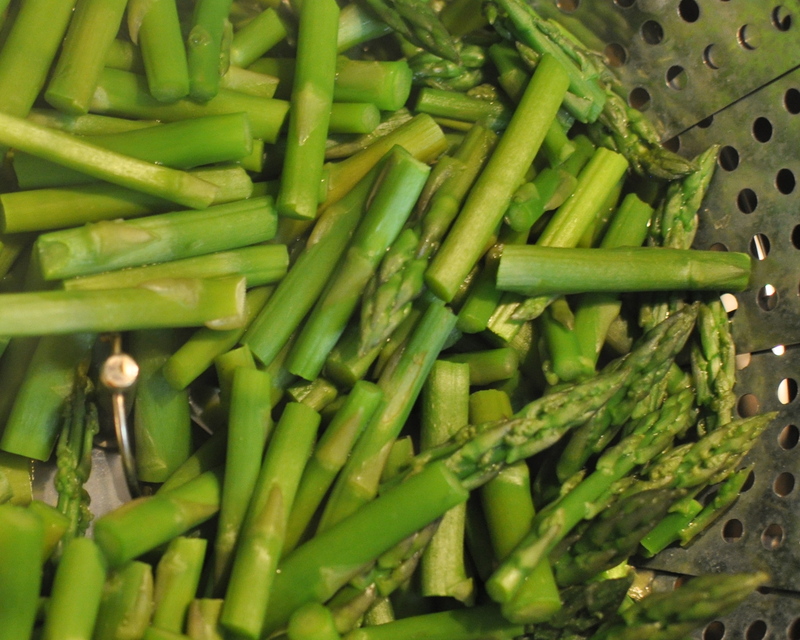 Steam asparagus for 7-10 minutes, or until bright green, and then set aside. 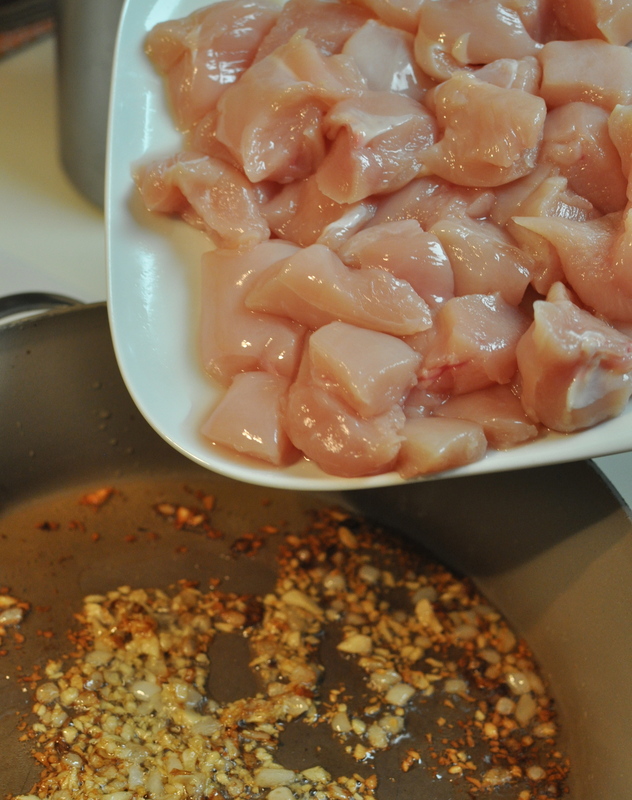 In a large pan, sauté shallot and garlic in peanut oil for about 2 minutes. 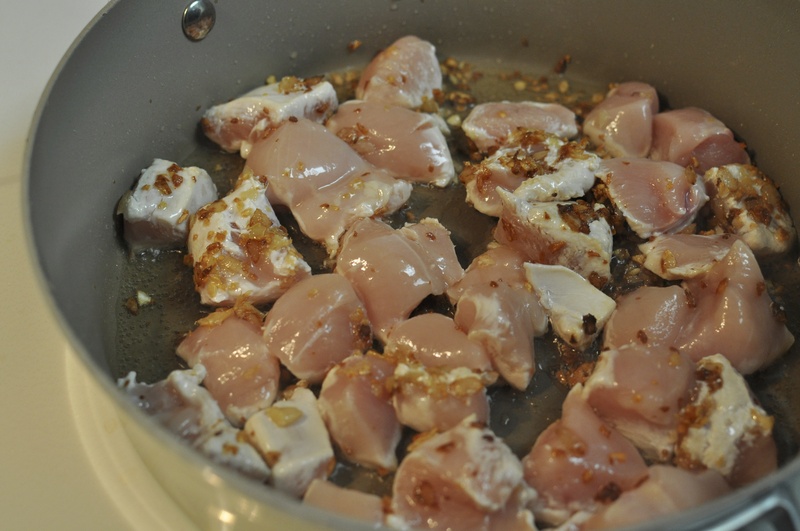 Add chicken and continue to sauté about 6 minutes or until pink disappears. Pour into heat-safe serving bowl and mix in asparagus. Add 2 Tbsp. 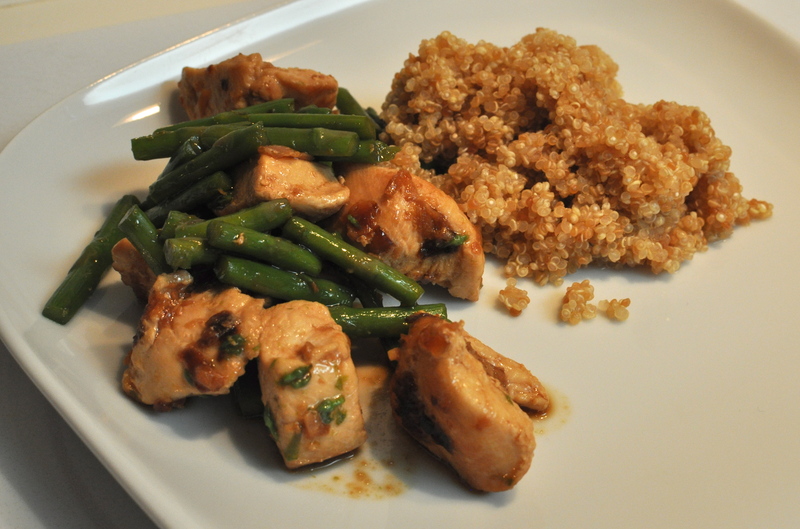 low-sodium soy sauce or teriyaki sauce and serve!